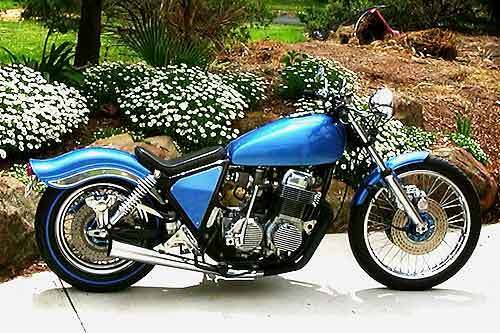 Heres a nice 750 Lowrider sent in by Garth. He has promised us lots of pics of other bikes he's built so keep watching this post. Very neat rear shocker mountings.